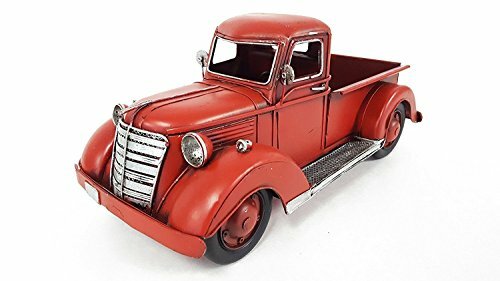 Enhance your manly decor with this tabletop Red Metal Truck. Perfect for displaying in your living room, garage, office, shop, and more, this truck features a classic old-style body and truck bed. Perfect for the classic car enthusiast, this collectible item is great for setting on bookshelves, mantels, and more. If you have any questions about this product by Everydecor, contact us by completing and submitting the form below. If you are looking for a specif part number, please include it with your message.